The smart money is positioning portfolios to recover from losses in 2011. BOSTON ( TheStreet) -- Hedge fund managers tend to outperform during stock-market rebounds when individual investors are playing it safe. After a miserable performance during a volatile 2011, that outperformance is still missing as hedge funds pared risk and haven't participated in this year's rally. Hedge funds, which cater to wealthy investors by chasing higher returns for bigger fees, did not live up to high investor expectations this year. Hennessee Group, an adviser to hedge fund investors, said its own hedge fund index fell 4.3% in 2011, compared with a flat finish for the S&P 500. Hennessee Group's hedge fund index perked up in January, rising 2.5%. However, that trailed a gain of more than 4% for the S&P 500. "January was a good month for hedge funds. After a 4.6% decline last year, the industry has a more positive outlook for 2012," Lee Hennessee, managing principle of Hennessee Group, said in an emailed statement. "It is encouraging to see a respectable gain even with managers conservatively positioned. Looking forward, managers are still cautious but are optimistic on the potential to generate positive alpha." A solid performance in January still doesn't wash away a bad December for hedge funds. TrimTabs Research estimates that the hedge fund industry lost $7 billion in December as industry assets fell about 8% in 2011. Assets are at their lowest since February 2010, TrimTabs said, which is in part because of performance. From May 2011 onward, hedge fund performance was negative in every month except October, TrimTabs added. While it is encouraging that performance is starting to pick up to start 2012, investors in those funds likely aren't happy that hedge funds failed to deliver during tough times. Charles Gradante, co-founder of Hennessee Group, says that after several months of treading water, managers may be primed for a strong turnaround this year. "The top-performing managers were positioned for a January rally and were long stocks that underperformed in 2011," Gradante said in an emailed statement, arguing that stocks have rallied this year on fundamentals rather than economic or political news. For that reason, investors might find guidance in picking stocks by following where the smart money moved during the fourth quarter. The first place for investors to look at hedge fund positioning is the spate of recently released 13-F filings. Hedge fund and investment managers who oversee more than $100 million are required to disclose their equity holdings, options and convertible debt on a Form 13F filed to the Securities and Exchange Commission within 45 days of the end of a quarter. Funds aren't required to report short positions betting on declines, derivatives, bonds or currency bets. TheStreet pored over more than 40 fourth-quarter regulatory filings by some of the biggest hedge fund managers to examine what the smart money bought before we entered 2012. The most important trends for the quarter, broken down by sector, are highlighted on the following pages. The energy sector saw plenty of hedge fund activity and it's no wonder why. Energy stocks in the S&P 500 jumped 17.6% in the fourth quarter, according to S&P Capital IQ, the best performance of any of the S&P 500's 10 sectors during the three-month period. This performance came as crude oil prices surged from about $76 per barrel in October to more than $100 by late December. In 2012, these bets have paid off with a 5% return for the energy sector, although that trails six other sectors of the S&P 500. This upward move in crude prices and energy stocks has likely benefitted a handful of hedge fund managers, assuming they continue to hold shares of oil stocks. Hedge funds like Brevan Howard, Bridgewater Associates, Centaurus Capital, Moore Capital and Tudor Investment, among many others, all upped their exposure to energy stocks during the fourth quarter. It hasn't all been about the recent jump in the price of oil, though. In the fourth quarter, the energy sector as a whole saw earnings growth of 6.5%, third-best of any other sector during the quarter, according to FactSet Research analyst John Butters. On the downside, earnings for energy companies in the S&P 500 should climb only 1.1% in 2012 based on analysts' estimates. El Paso ( EP found many buyers after it was announced that Kinder Morgan ( KMI would buy the company for $21 billion. Tom Steyer's Farallon Capital, Carl Icahn's Icahn Associates, Louis Bacon's Moore Capital, and Leon Cooperman's Omega Advisors all initiated stakes or increased existing positions in El Paso during the quarter. Meanwhile, Barry Rosenstein's Jana Partners sold 12 million shares of El Paso but bought up stock in other energy names like Marathon Petroleum ( MPC and Anadarko ( APC. Elsewhere, Centaurus Capital made a $30 million bet on Complete Production Solutions ( CPX. Among other favored picks, U.K. hedge fund Brevan Howard initiated new stakes in Valero ( VLO and Petrobras ( PZE. Ray Dalio's Bridgewater Associates opened positions in Peabody Energy ( BTU and Imperial Oil ( IMO, among several others, while increasing stakes in Tesoro ( TSO and HollyFrontier ( HFC. Seth Klarman's Baupost Group, which takes a value approach to investing, trimmed its stake in BP ( BP and completely sold out of a position in BreitBurn Energy ( BBEP during the fourth quarter. John Paulson, while a buyer of El Paso, sold shares of Anadarko, Transocean ( RIG and Talisman Energy ( TLM. Steven Cohen was another seller of energy names, dumping more than a million shares each of Baker Hughes ( BHI, Marathon Petroleum, HollyFrontier, Hess ( HES and others. >>To see these energy stocks in action, visit the Energy Stocks Bought and Sold by Hedge Funds portfolio on Stockpickr. Some of the biggest hedge fund managers were down on the materials sector during the fourth quarter, although one specific stock in the sector was a buy for a few fund managers, which increased their exposure to the group. The materials sector was the second worst of all S&P 500 sectors last year, falling 11.6%, according to S&P Capital IQ. Only financials performed worse as a group in 2011. That move lower came as the materials group saw the second largest decrease in earnings growth during the fourth quarter out of all sectors, with profits down 13.8% from the prior year. Looking ahead, though, earnings are expected to grow 4.8% in 2012, down from 29.6% earnings growth in 2011, according to FactSet Research. With slowing growth on the horizon, hedge funds were jumping out of some positions in materials stock, reducing their reported portfolio's overall exposure to the sector. David Tepper's Appaloosa Management was one such firm, dumping shares of International Paper ( IP, CF Industries ( CF and Mosaic ( MOS. John Thaler's JAT Capital liquidated its 5-million-share stake in Molycorp ( MCP and took new positions in Owens-Illinois ( OI and Cemex ( CX. On the other hand, hedge funds like Brevan Howard and Highbridge Capital saw their portfolios increase their stakes in the materials sector. Jana Partners bought shares of Cytec Industries ( CYT and Rock-Tenn ( RKT. Highbridge picked up stocks like LyondellBasell ( LYB, CF Industries, Sealed Air ( SEE and Huntsman ( HUN, among others. John Paulson, who presided over an epic collapse in his fund last year, bought other materials companies as he increased his positions in gold-related companies like Barrick Gold ( ABX, Iamgold ( IAM, Rangold Resources ( GOLD and Agnico-Eagle Mines ( AEM. >>To see these stocks in action, visit the Materials Stocks Bought and Sold by Hedge Funds portfolio on Stockpickr. Like the materials sector, industrials have been a dog for investors this year. Industrial companies in the S&P 500 were down 2.9% in 2011, according to S&P Capital IQ, the third worst sector performer of the year. However, since the end of the third quarter, industrial stocks have been roaring back. In the final quarter of 2011, the sector was up 15.7%, second only to the 17.6% gain in energy. That momentum has carried into 2012, with the sector up 8.4% through Feb. 15. It remains to be seen whether those industrial bets pay off, but for now analysts are looking positively on the sector. According to FactSet Research, industrial companies in the S&P 500 should see earnings grow 10% this year, the fourth highest growth rate for any sector. One reason that many hedge funds saw increases in exposure to industrials was because of purchases of M&A target Goodrich ( GR. The company, which will be acquired by United Technologies ( UTX, found buyers in Eton Park Capital, and Farallon Capital. Lone Pine Capital, meanwhile, dumped its entire stake in Goodrich and United Tech. Among other notable buys, Carl Icahn picked up a few industrial stocks, buying shares of American Railcar ( ARII and Navistar ( NAV. John Thaler's JAT Capital took new positions in Union Pacific ( UNP and GrafTech ( GTI. Lee Ainslie's Maverick Capital bought up shares of Tyco ( TYC and Avery Dennison ( AVY. Elsewhere, Bruce Kovner's Caxton Associates was a big buyer of industrial stocks, picking up merger mates United Rentals ( URI and RSC Holdings ( RRR along with shares of Illinois Tool Works ( ITW, Cummins ( CMI, CSX ( CSX and Deere ( DE, among others. Bill Ackman's Pershing Square also increased its exposure to industrials, but that's after Ackman built up a massive position in railway Canadian Pacific ( CP. Ackman now owns 14.2% of shares outstanding as he has gone activist on Canadian Pacific's management team. On the other hand, David Tepper took an axe to Appaloosa's airline holdings, reducing positions in United Continental ( UAL and U.S. Airways ( LCC while completely liquidating his stake in Delta Air Lines ( DAL. >>To see these stocks in action, visit the Industrial Stocks Bought and Sold by Hedge Funds portfolio on Stockpickr. Consumer discretionary as a whole didn't do too much last year, although the 4.4% rise beat the broader market. With global recession fears easing and the European Central Bank making free cash available to banks to buy sovereign debt, investors have been willing to take on more risk. That explains why discretionary names surged 12% in the fourth quarter of 2011 and are up another 8.6% in 2012 through Feb. 15, according to S&P Capital IQ. The outlook for consumer discretionary stocks seems to be bright. After earnings grew a 3.5% during the fourth quarter from a year ago, the sector is second overall with an expected earnings growth rate of 12.7% in 2012. For the most part, hedge fund managers are placing bigger bets in the sector, with some of the largest funds boosting exposure to discretionary names. John Griffin's Blue Ridge Capital was one buyer of discretionary stocks during the fourth quarter, picking up shares of Priceline.com ( PCLN, Lowe's ( LOW, Netflix ( NFLX and Sirius XM ( SIRI - Get Report), among others. Bill Ackman, on the other hand, dumped more than 21 million shares of Lowe's during the quarter, while Paul Tudor Jones was also a buyer of Sirius XM. John Paulson also made several best on discretionary names during the quarter, most notably taking a 15% stake in Delphi Automotive ( DLPH after the company's IPO in November. Paulson also bought shares of AMC Networks ( AMCX, the cable network channel that produces hit shows like Mad Men and The Walking Dead. Meanwhile, Eton Park was one fund that cut its exposure to consumer discretionary in the fourth quarter. The fund trimmed its stake in stocks like Viacom ( VIA.B, Comcast ( CMCSA and Dollar Tree ( DLTR. Tom Steyer's Farallon Capital was also a seller of Viacom shares. His fund also completely sold out of stakes in Home Depot ( HD, Expedia ( EXPE and CarMax ( KMX. Similarly, Lee Ainslie's Maverick Capital took a hatchet to its discretionary holdings, selling completely out of Time Warner Cable ( TWC, Viacom, Macy's ( M, Kohl's ( KSS and DirecTV ( DTV, among others. Eddie Lampert's RBS Partners cut stakes in AutoNation ( AN, AutoZone ( AZO and even Sears Holdings ( SHLD. George Soros was another big seller of discretionary stocks, slashing entire stakes in Amazon.com ( AMZN, Ralph Lauren ( RL, Comcast ( CMCSA and Priceline.com, among many others. Viking Global was also a seller of Amazon.com and Ralph Lauren. >>To see these stocks in action, visit the Consumer Discretionary Stocks Bought and Sold by Hedge Funds portfolio on Stockpickr. With the global economy at risk due to the European crisis and market volatility scaring investors, it's natural to believe the right place to be invested would be consumer staples. These are companies that are defensive, cyclical names which can help protect against downside risk. Unfortunately, there hasn't been a whole lot of growth opportunity in consumer staples stocks. The overall sector rose 10.5% in 2011 -- second best among all S&P 500 sectors -- but worries over growth have abated and investors have sought out slightly riskier assets for a higher return. In the fourth quarter, earnings for the staples sector grew by only 2.3% from a year ago. Based on estimates, consumer staples will see earnings rise 7.9% in 2012, according to FactSet Research, below the growth rates of industrials, technology and even consumer discretionary names. That may explain why staples are up only 0.4% in 2012, the third worst performing sector. Few hedge funds made big alterations to their holdings of consumer staples stocks. Phillipe Laffont's Coatue Management made only one change to its consumer staples holdings, cutting its stake in controversial company Green Mountain Coffee Roasters ( GMCR in half. JAT Capital sold completely out of its stake in Green Mountain during the quarter, along with Smithfield Foods ( SFD. David Einhorn's Greenlight Capital shuffled up its discretionary holdings, dropping its stake in CVS Caremark ( CVS while picking up shares of General Motors ( GM, Best Buy ( BBY and CBS ( CBS, among others. While Maverick Capital made big cuts to discretionary names, the fund picked up shares of several staples companies, including Sara Lee ( SLE and CVS. 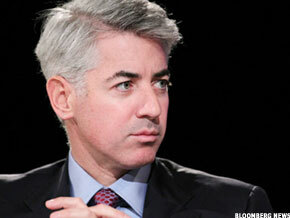 Bill Ackman, meanwhile, trimmed his big position in Kraft Foods ( KFT. Moore Capital was more active in the staples space, dumping shares of Altria ( MO, Procter & Gamble ( PG and PepsiCo ( PEP. Carl Icahn was also a seller of consumer staples, unloading a massive stake in Clorox ( CLX after losing a battle to buy the company. Nelson Peltz's Trian Fund Management, meanwhile, sold more than 2.3 million shares of Pepsi. >>To see these stocks in action, visit the Consumer Staples Stocks Bought and Sold by Hedge Funds portfolio on Stockpickr. The health care sector was a popular one in the fourth quarter for hedge fund managers looking for merger-arbitrage opportunities. Takeover targets like Kinetic Concepts, Adolor and Pharmasset were snatched up during the quarter, increasing health care weightings for several hedge fund managers. The merger activity is one way to explain the strong performance of the health care sector this year. Health care names in the S&P 500 rose 10.2% overall last year, according to S&P Capital IQ, the third best sector performance this year. The outlook for health care stocks, though, leaves plenty to be desired. After notching only 4.6% earnings growth in the fourth quarter, analysts are calling for 2.4% earnings growth for the sector in all of 2012. Health care stocks are trailing the broader indices this year, climbing only 3.8% in 2012 through Feb. 15. David Tepper of Appaloosa Management was a buyer of health care stocks, picking up nearly 8 million shares of Boston Scientific ( BSX. Ray Dalio was another buyer, with his Bridgewater Associates hedge fund buying shares of Johnson & Johnson ( JNJ, Watson Pharmaceuticals ( WPI and St. Jude Medical ( STJ, among others. Louis Bacon of Moore Capital was also a big health care buyer, picking up shares of Gilead Sciences ( GILD, Express Script ( ESRX, Cigna ( CI and WellPoint ( WLP, among several others. Renaissance Technologies, the world's largest quant fund, also upped its exposure to health care, adding to stakes in Gilead, Thermo Fisher ( TMO, Humana ( HUM, Intuitive Surgical ( ISRG and Cigna, among others. Not all were buyers, however. Barry Rosenstein's Jana Partners liquidated a position in Covidien ( COV and nearly dumped its entire stake in HCA Holdings ( HCA. >>To see these stocks in action, visit the Health Care Stocks Bought and Sold by Hedge Funds portfolio on Stockpickr. Given the sharp drop in financial stocks last year, it should come as no surprise that hedge fund managers continued to dump bank shares during the fourth quarter. There was nearly uniform disgust with U.S. bank stocks like Bank of America ( BAC - Get Report), Citigroup ( C - Get Report) and JPMorgan Chase ( JPM, which had all been big winners for hedge fund managers who bet on their recovery after the financial collapse in late 2008. Financials as a group were the worst performing sector on the S&P 500 last year, down 18.4%, according to S&P Capital IQ. That performance may have been too much for the likes of John Paulson. His hedge fund finally gave up on several financial holdings, selling completely out of positions in Citigroup, Bank of America, BlackRock ( BLK and others. Others followed in Paulson's footsteps. Among other interesting sales, Bruce Kovner's Caxton Associates, which owned shares of MF Global prior to the collapse, sold completely out of positions in Wells Fargo ( WFC and Morgan Stanley ( MS. Vinik Asset Management cleared its stake of JPMorgan and American Express ( AXP. In crisis there lies opportunity. Many of those funds that sold bank stocks may have missed out on the 10.2% rally in the fourth quarter and the 11.1% rally in the sector this year. Some smart hedge fund managers were buyers of financial stocks last quarter during the carnage, which increased their reported portfolio's sector weighting. Most notably, Third Point's Daniel Loeb made new buys of Goldman Sachs ( GS, Genworth Financial ( GNW and E*Trade Financial ( ETFC. While Brevan Howard slashed its position in Berkshire Hathaway ( BRK, the hedge fund initiated a stake in Bank of America. Kyle Bass bought up 10 million shares of MGIC Investment ( MTG during the quarters. These financial buyers may not be completely crazy. If there's one reason for optimism, next year's earnings growth may be it. According to FactSet Research, financials should see earnings growth of 22.3% in 2012, the highest based on analysts' estimates of all sectors. It remains to be seen if the European debt crisis and the exposure to those troubled countries derails those rosy forecasts. >>To see these stocks in action, visit the Financial Stocks Bought and Sold by Hedge Funds portfolio on Stockpickr. The technology sector gets a lot of attention from hedge funds, mostly because it seems like everyone wants to own shares of Apple ( AAPL - Get Report). The truth, though, is that the sector has performed admirably this year and should do well into 2012 based on analysts' estimates. The tech area of the S&P 500 climbed only 1.3% last year, falling in the middle of the pack of the 10 sectors of the broad market index. Looking ahead to 2012, analysts expect earnings for the sector to grow 11.5%, which would be the third-best earnings growth rate of all S&P 500 sectors. Thanks to Apple's contribution, the tech sector is the best performing space in 2012, up 12% through Feb. 15. The 13-F reporting system isn't perfect, as investors can't tell whether ownership of a stock means the hedge fund manager loves the company or is simply hedging a bigger short position. That said, it's interesting to look at opposing views based on these filings. Based on buying and selling, tech stocks -- and Apple in particular -- are the perfect example of this push and pull. Apple was among the most held of any stock by hedge funds, as it has been for several quarters now. SAC Capital, DE Shaw, Lone Pine Capital, Moore Capital and Maverick Capital all bought shares of the gadget maker during the fourth quarter. However, hedge funds like Blue Ridge and Coatue Management dumped Apple shares during the quarter. The same battleground story holds true among the other big tech stocks. Soros, Blue Ridge, Tiger Global, Lone Pine, DE Shaw, Moore Capital and Coatue bought up shares of Google ( GOOG - Get Report) while Jana Partners dumped shares. Coatue and Viking Global bought Qualcomm ( QCOM while JAT Capital dumped its entire position in the chipmaker and Maverick sold shares. Research In Motion ( RIMM was another battleground name, with David Einhorn and Steven Cohen buying the stock as Phil Falcone's Harbinger Capital and JAT Capital sold out of stakes in the BlackBerry maker. DE Shaw sold Microsoft ( MSFT shares as SAC Capital bought nearly a million. One tech name that found lots of support was Yahoo! ( YHOO after Third Point's Daniel Loeb amassed a large stake in the Internet company and has pushed for major changes. Loeb added 8 million shares to bring his stake to 271 million shares, with George Soros, Louis Bacon, and David Einhorn also buying up Yahoo! shares during the quarter. >>To see these stocks in action, visit the Tech Stocks Bought and Sold by Hedge Funds portfolio on Stockpickr. The telecom sector evokes yawns from the casual investor. Hedge fund managers, too, find little to be excited about in the sector. With telecom shares essentially flat in 2011 and down 2.5% this year through Feb. 15, investors bored with wireless companies look smart to have skipped over the sector. The reasons for the aversion are simply because there's little growth to be had. FactSet Research has the telecom sector growing earnings by only 3% next year based on analysts' estimates, a far cry from the 22.3% expected earnings growth in financials or even 7.9% expected growth in consumer staples. Still, that's better than how telecom companies fared in the fourth quarter, when earnings dropped 23.7%, the lowest growth rate of all 10 sectors of the S&P 500. Though certainly not the sexiest sector, some hedge fund managers increased their reported holdings during the fourth quarter. Ray Dalio's Bridgewater Associates initiated stakes in companies like BCE ( BCE, SBA Communications ( SBAC and NII Holding ( NIHD. Glenview Capital picked up shares of Crown Castle ( CCI, Sprint Nextel ( S and Clearwire ( CLWR. Among other buyers, Paul Tudor Jones added to stakes in NII Holding, Clearwire, Vodafone ( VOD and MetroPCS ( PCS. On the other hand, Centaurus Capital dumped its stake in Level 3 Communications ( LVLT while Lone Pine Capital liquidated its position in NII Holding. Louis Bacon's Moore Capital sold its stakes in Verizon ( VZ and BCE ( BCE. >>To see these stocks in action, visit the Telecom Stocks Bought and Sold by Hedge Funds portfolio on Stockpickr. If there is one sector more boring that telecom, it's utilities. Though many are big dividend payers, there's little excitement in owning an electricity company. Making matters worse, the utility sector saw earnings dip 0.4% in the fourth quarter, according to FactSet Research. Looking ahead, utilities are the only sector expected to see earnings shrink in 2012, with analysts' estimates calling for a 3.2% slide. Despite those negatives, utility stocks have been the best performers this year on the S&P 500, climbing 14.8% in 2011. Boring and unsexy is much more palatable if it means getting a big return. However, that success hasn't carried over into 2012, with the utilities sector down 4.2% through Feb. 15. David Shaw's hedge fund was one buyer of utilities during the quarter. DE Shaw upped its stake in companies like Northeast Utilities ( NU, Constellation Energy ( CEG, FirstEnergy ( FE and CenterPoint Energy ( CNP, among several others. Leon Cooperman made a bet on NRG Energy ( NRG during the quarter. Meanwhile, Moore Capital was a seller of utility stocks such as PPL Corp. ( PPL, Westar Energy ( WR, Consolidated Edison ( ED and Pinnacle West ( PNW. Paulson & Co. made a big sale of Genon Energy ( GEN during the quarter. York Capital Management dumped a large stake in CenterPoint during the quarter. Quant fund Renaissance Technologies liquidated 21 positions in utilities stocks during the quarter, selling shares of Southern Company ( SO, PG&E ( PCG, Pinnacle West, and Duke Energy ( DUK, among others. >>To see these stocks in action, visit the Utilities Stocks Bought and Sold by Hedge Funds portfolio on Stockpickr.